Today, Microsoft formally announced a number of new hardware products. According to its own PR, the new mice and keyboards are “designed to work and play beautifully with Windows 8.” In short, these devices are what Microsoft envisions as the hardware partners for its next operating system. Critically, they are designed to be, judging from appearances and features, mobile and touch-focused. Just like Windows 8. I told the Vergers (Vergerati?) 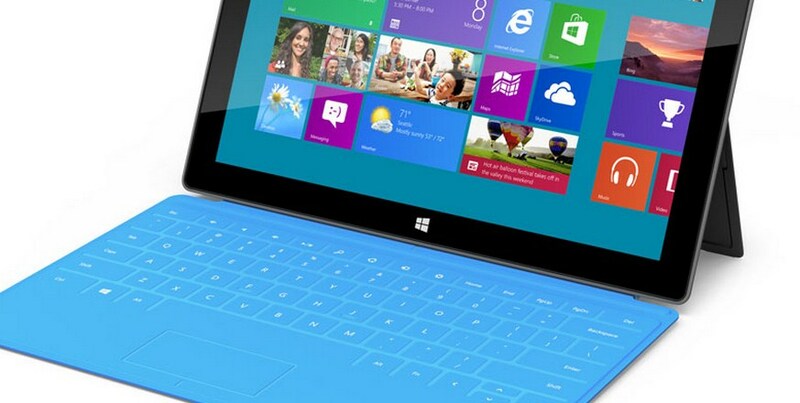 that until I saw the Microsoft Surface, I thought Windows 8 was going to be a disaster. Maybe my word choice was less than optimal, especially given two gaming honchos had said they believed Windows 8 would be a “catastrophe” for OEMs and those in the PC gaming space that same week. It seems to me like those in the “catastrophe” camp are worried about the new Windows app store and Xbox Live integration with Windows 8 possibly impacting their revenue stream, more than anything else. I believed, and still do, that without hardware designed to simplify the use of Windows 8, Microsoft’s next-gen operating system faces a rough road. (When there’s a need for something like a Windows 8 Survival Guide for mouse/keyboard users, you know things are not so smooth.) And yes, this is just my opinion. I’ve talked to a number of others who agree. But your mileage may vary. I didn’t condense the quote because I wanted to preserve Mary Jo’s voice – her perspective on Microsoft matters is one of the three most valued, along with the views of Ed Bott and Paul Thurrott. She is quite right. TNW has been banging on about this issue for so long now that it’s intertwined completely with our view of Windows 8. Microsoft also agrees, it would seem. Its introduction of new mice and keyboards is nothing new. Microsoft Hardware has a long history of turning out quality accessories for PCs. In fact, its IntelliMouse led mouse design for some time, taking scroll wheels and forward/backward Internet browsing buttons to the masses. The Surface, however, is out of character. Moving to becoming its own OEM is a tactic that surprised its own partners, the public, investors, and the press alike. No one knew what was coming down in that LA event, something that is evinced in the fact that much chatter and rumor assumed that it was going to be a music and video announcement, given the venue’s location. TNW’s view, as it has been, is that without an amazing hardware conduit to the hands of consumers, Windows 8, good or not, is not a winning product. There has to be strong hardware to complement it, or the operating system will not reach mainstream status. Enter the Surface, right? Well, in a sense. It fits perfectly: Here is a great device that runs Windows 8 that has a real chance to become a consumer hit. However, Microsoft has made it publicly known that in public it only expects to sell a few million units of the device in its first year. I have a new view on that: bullcrap. I humbly submit to you, based on Mary Jo’s correct perspective, Microsoft’s actions, and TNW’s running analysis on the issue, that Microsoft intends to sell more Surfaces than it is letting on. Given the stunning failure (until Google made its own Nexus 7 device) of Android-based tablets in the market, and the utter flop of touch-based Windows devices in the past (remember UMPCs? ), is it surprising that Microsoft took the bull by the horns and made its own tablet? Microsoft needs the public to grok Windows 8. And another lame tablet made of flimsy plastic with a bad battery and weak screen, hard to use keyboard component, and generally bad presentation wasn’t going to cut it. Here’s how we’ll tell if we’re correct: When the Surface goes on sale, keep an eye on its stocking situation. Huge sales, but not sold out everywhere? Microsoft expected high sales in that case, and prepared for them, comments about ‘a few million’ units be damned. For this sort of software, hardware is the chariot of genius. Now, Microsoft, what are the Surface units going to cost? One last idea: Given this analysis, Microsoft may keep the price of the Surface line dark until the very last moment, as it doesn’t want other OEMs to know what it intends. Too cheap a price could spook other OEMs from building tablets to compete with the Surface line. Therefore, Microsoft might not shed any real light until the very last possible second.